The budget week is a very dangerous week for option traders. 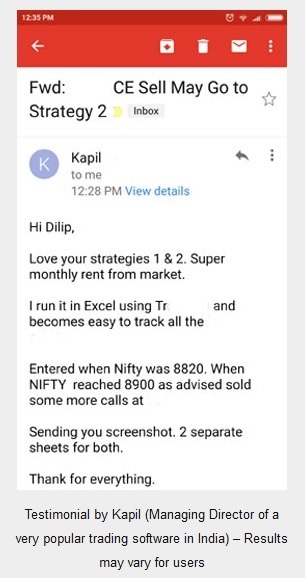 Nifty can go anywhere and the options premium will reduce very fast. We have entered into a dangerous week – the Budget Week. Tomorrow the Budget Session of Parliament starts and government will present the General Budget on February 29, 2016. 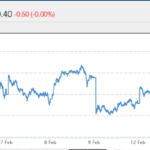 Huge volatility can be seen in the markets. It looks like expiry will be as usual, this Thursday the 25th of February 2016. Are you buyer of Options? If yes, it is better to shift to the next month – March 2016. Last 5 days are worst for options. It does not matter how much the VIX increases, theta will have a big effect on options and their premiums will decrease no matter what. March options still have 38 days to expire and VIX not going down at least till Friday means chances of making money increases. Please note that risk is always there, but this one looks like a calculated risk. As an option buyer it is very hard to fight melting premiums, therefore I highly recommend avoid trading current month options. On the other hand February 2016 options will now be cheap and will lure buyers, unfortunately still they will lose money. For example currently Nifty is at 7220 and the ATM Feb call option of 7200 is quoting at 59.40. That’s quite cheap isn’t it? But since only 4 days are left for expiry, even at 59.40 this is too costly. If you are sure of a move then buy March 7200 Call option NOT February’s. But remember VIX drops like a knife falling from Monday onward. So if you plan to buy options today you must close it on or before this Friday – 26th of February 2016. So should you sell these options? No selling now is even more dangerous. Why? Because you dont know what is in store in the budget day or any news coming before the budget day. There can be a sharp rally or a sharp fall. We dont know. So it will be better to stop selling this week. When should I start selling options again? From Monday onward. In fact Tuesday is the best day. All the news and movement will be out, and frankly the traders will be too tired to trade the rest of the week. So selling can be very lucrative from Tuesday – 1st of March 2016. Nifty will not move much at least from one week from 1st March, and VIX will keep falling – so premiums will drop heavily. 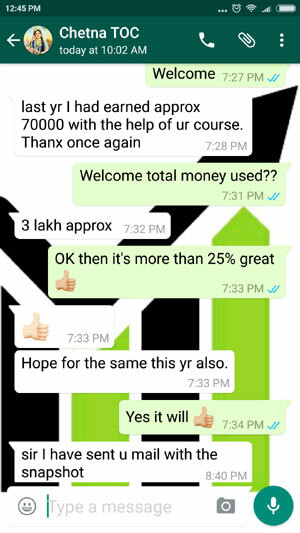 Its highly recommended that you start trading strategy 1 from 1st of March 2016. If you are keen on trading now its better to trade with reduced lot size. Please show some patience and take less risk this week. Years are left to make money, one week cannot reduce your profits however this week has the potential to take away a lot of your profits you already made in last few trades. Please also read my newsletters. I have to pay for the emails in the database. And its not cheap. If you do not read, unfortunately I will have to delete those emails. Disclaimer: Views and opinions in this article is my personal opinion. 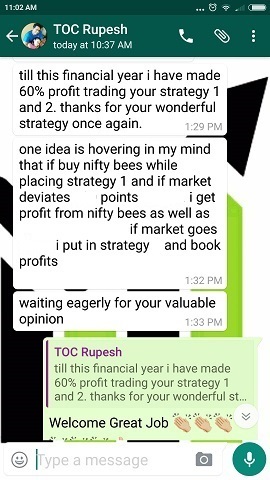 Please do your own research before entering into any trade as suggested in this post. This is part of newsletter sent to my subscribers today. If you want to receive such newsletters please register your email here. What if we will go with directional strategy with March options…Vix don’t have any impact in this strategy. Also a 200 points fast move from here may come. 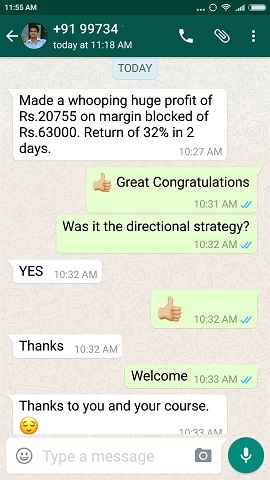 Yes try the directional strategy with March options. Timely advice to all Option traders.